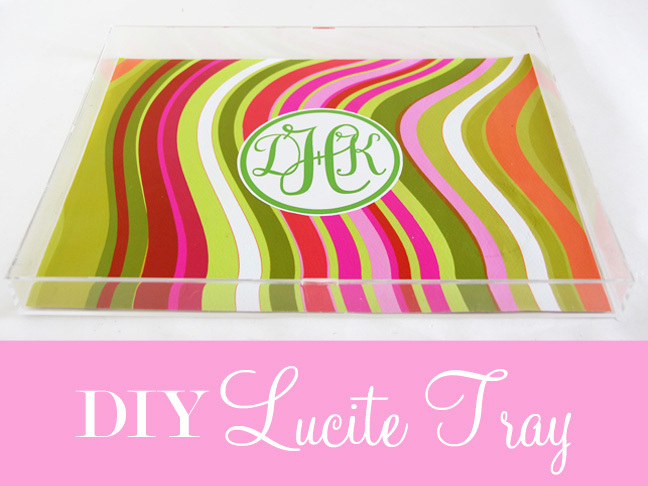 If you have recently shopped for decorative accessories for your home or read decorating magazines then I am sure you have seen how popular monogrammed Lucite trays are. You have probably also seen how expensive they are – $60 – $130!!! I love them, but with those price tags they are out of my budget. I recently found a way to make a knock-off version for under $10 and under 10 minutes. 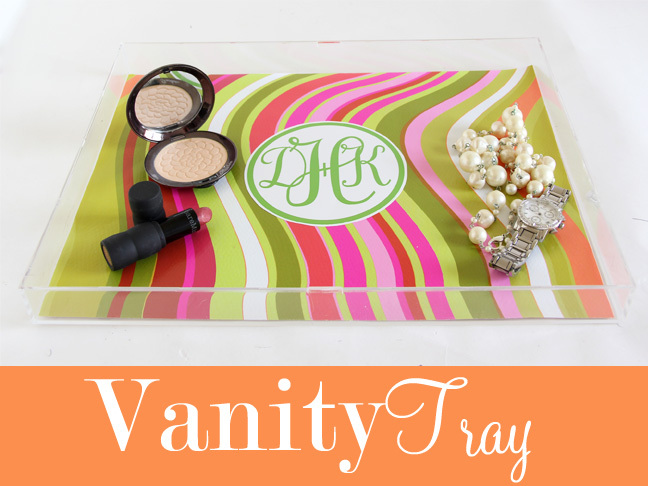 It can be used on a coffee table as a way to hold smaller objects, on a bar, or your vanity. 1. Remove cardboard box insert and use it to trace the size of the frame onto the gift wrap. 2. Lay frame on work surface so open side is up. Place gift wrap in frame. If gift wrap won’t lay flat. 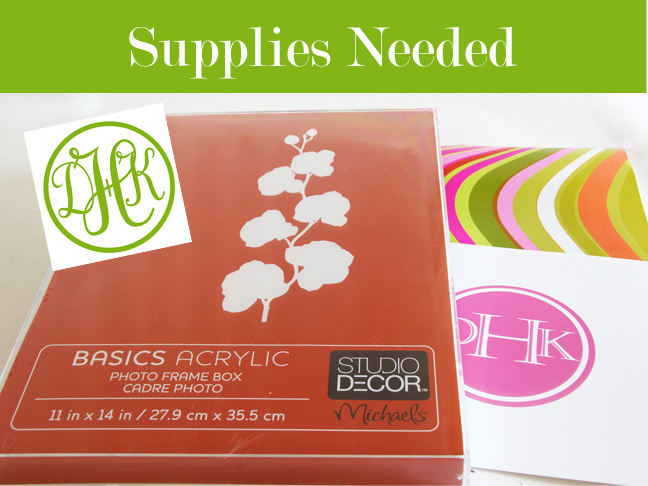 Use a craft knife to cut one side of the box insert and use spray glue to attach it to the cut gift wrap. Place in frame. 3. 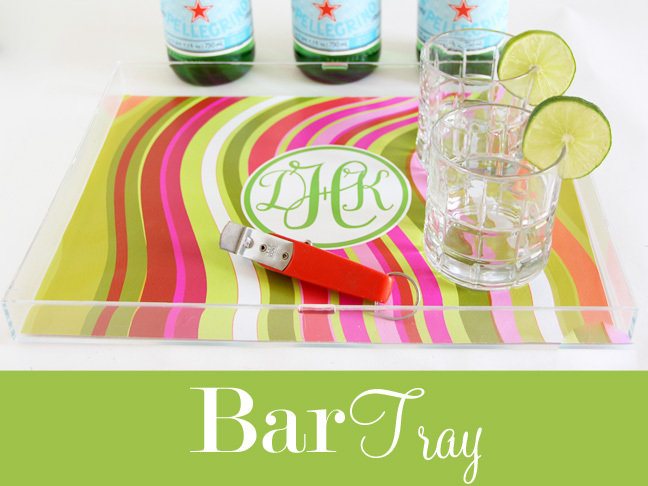 Cut monogram from paper and use spray glue to attach to center of the gift wrap liner in the tray. Or make your place to get pretty – Pretty.